A robot has faced questions from a House of Commons select committee for the first time. The Avatar XPrize is offering $ 10 million to the team of researchers and inventors who can create a robotic avatar that allows humans to see, hear and feel objects anywhere on Earth by Oct. 1, 2021. The automated cook is switched off while upgrades are prepared to help it work faster. A robot that can solve a Rubik’s Cube in 0.38 seconds is developed by two researchers. Flippy can handle 12 burgers at once, and is destined to replace human fast-food workers. A robot designed to help households control smart devices repeatedly fails on stage at its unveil. Walt Disney World has unveiled a frightfully lifelike Donald Trump robot at the reopening of one of the Florida resort’s most historic attractions. Despite being sold off by Alphabet, Boston Dynamics is continuing with its development of quadrupedal robots. The disposable robot is made from cardboard and powered by a Raspberry Pi Zero computer. The wheeled security robot in Washington DC tumbled into a fountain at an office building. Engineers are using cognitive psychology, including techniques for studying how human children learn, to uncover the inherent biases built into AIs and machine learning that can lead to mistakes. ‘Handle’ is more active than any of us will ever be. The game for little programmers! Robot Turtles & trade Game from Thinkfun is a board game for kids inspired by the Logo programming language. It provides crucial brain development and computer programming skills to children as young as four years old in the context of family fun. Players dictate the movements of their Robot Turtle & trade tokens on a game board by playing Code Cards: Forward, Left and Right. When a player’s Robot Turtle & trade reaches a jewel they win! Beginner to Advanced levels will make it a family favorite for many years. Game for 2-5 players Large game board Instructions Designed for everyone to be winner Teaches programming fundamentals to kids Inspired by the Logo programming language Imported Recommended for ages 4 & up WARNING: CHOKING HAZARD – Small parts. Not for children under 3 yrs. 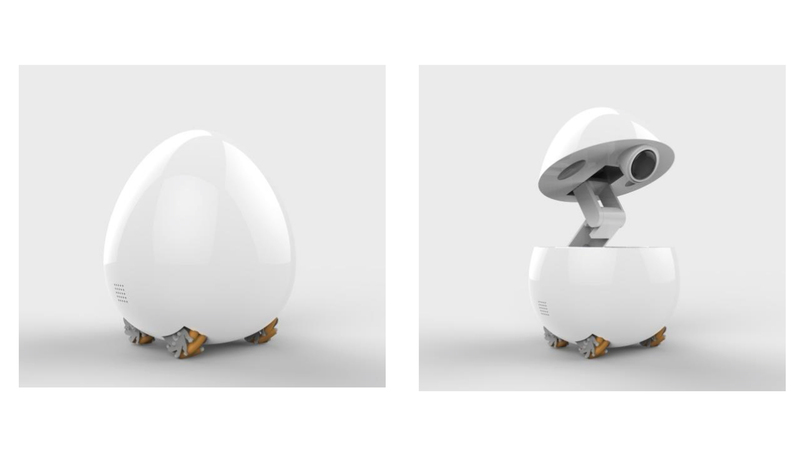 Panasonic showed off a robot egg at CES 2017 that could serve as a desktop companion in the future. An underwater robot has revealed a rare glimpse of the beautiful world lying underneath the Antarctic sea ice. This book provides readers with a solid set of diversified and essential tools for the theoretical modeling and control of complex robotic systems, as well as for digital human modeling and realistic motion generation. Following a comprehensive introduction to the fundamentals of robotic kinematics, dynamics and control systems design, the author extends robotic modeling procedures and motion algorithms to a much higher-dimensional, larger scale and more sophisticated research area, namely digital human modeling. Most of the methods are illustrated by MATLAB? codes and sample graphical visualizations, offering a unique closed loop between conceptual understanding and visualization. Readers are guided through practicing and creating 3D graphics for robot arms as well as digital human models in MATLAB? and through driving them for real-time animation. This work is intended to serve as a robotics textbook with an extension to digital human modeling for senior undergraduate and graduate engineering students. At the same time, it represents a comprehensive reference guide for all researchers, scientists and professionals eager to learn the fundamentals of robotic systems as well as the basic methods of digital human modeling and motion generation. S.A.M. the robot stars in. Robot Reboot! Sam is one of the smartest kids on earth, but there are a lot of things he doesn’t quite get. When Sam gets to be too much of a know-it-all for his friends, he accepts a mysterious offer of help: a computer chip that will make him more like a normal kid. But the chip is encoded with more than just emotions, and soon Sam finds himself being controlled by an old enemy. Can he overcome his programming and fight back, or must he obey all orders? A movie star, werewolf, ninja, robot, zombie and animancer join forces to become the crime-fighting Star League! Illustrated throughout by Nahum Ziersch. The era of Cleatus the FOX Sports Robot has begun! No mere action figure, the FOX Sports Robot is your official in-home mascot! Each 10″ posable robot is made of extra-sturdy PVC plastic and features the highest attention to detail. With fully articulating joints, Cleatus can be posed in almost any defensive or offensive position, tackling the opposition or celebrating a field goal.A must-have for every fan, these Robots are the perfect way to let everyone know who you root for! Show your team pride from your desk at work, next to the big screen at home, or as part of your team collection. The robot – which is 1.5m tall and weighs 78kg – has been compared to a Dalek from Dr Who. Sharp's RoBoHon is definitely not your normal smartphone. For starters, it's a robot. Secondly, it dances. Can your iPhone or Android phone dance? Exactly. How much for Japan's quirky robot smartphone? Too much! Sharp's taking pre-orders for RoBoHon at 198,000 yen (about $ 1,800) with shipments slated for May 26 in Japan. To put that in perspective, you could buy four iPhone SEs and still have some change leftover for a cheap Android phone. See also: How to trick your iPhone into freeing up storage space RoBoHon was unveiled at the International Robot Exhibition in Tokyo last December. The 7.6-inch tall "smartphone" is on par with a midrange phone. It runs Android 5.0 Lollipop and is powered by a 1.2GHz Qualcomm Snapdragon 400 processor and 2GB of RAM. The lil guy has 16GB of internal storage and a 1,700 milliamp-hour battery. On the back of the 'bot phone is a 2-inch display with 320 x 240 resolution. That's lower than the original iPhone's 480 x 320 resolution screen! An 8-megapixel camera sits between RoBoHon's eyes for taking selfies. Above the camera is a projector capable of projecting a 1,280 x 720 resolution display on walls. RoBoHon is like R2-D2's distant cousin, only you know, it can't project holograms. RoBoHon also responds to voice commands. "The reason people are not utilizing the highly improved voice recognition function is because it feels strange to be speaking into a square tablet," said Tomotaka Takahashi, CEO of Robo Garage. "Then, would it be a different feeling if the device you were speaking to was shaped as a human or animal? Wouldn't it feel more natural? That is what I thought." Like R2-D2 and BB-8, nobody can accuse RoBoHon of not being charming or adorable. But $ 1,800 is a bit too high. And owners will need to pay $ 6 per month to use voice commands? Sorry, but GTFO. ​It wasn’t even a cute robot. The Sock It To Me Kid’s Ninja & Robot Crew Socks are a fun mix of cool assassins. Tiny disclaimer: when your child wears these socks he will instantly prepare for battle You have been warned, but at least the home front will be secured. Crew socks. Stretchy fit . All-over design with color blocking . 2 Pair per package . Fit childrens shoe sizes 4-7. Machine wash . 74 Cotton, 20 Polyester, 5 Spandex, 1 Silicone . DJ Benson is a 12-year-old boy who lives on a farm in the Australian countryside. He loves all things scientific. In the new book The Runaway Robot: A DJ Benson Adventure, DJ’s family has just inherited a robot factory from Uncle Clive. It turns out that Uncle Clive didn’t pass away, but faked his demise so he could retire from the city and live next door to the Benson’s farm. One day, DJ’s father asks the factory to design and build a robot to help back at the farm. But before the robot can be delivered, it is stolen! DJ turns to Uncle Clive, who suggests that the family order another robot. DJ asks Becky Martin, his best friend, to help him assemble the new robot, but the second one is stolen, too! DJ believes that Becky’s father, who owns the local computer store, has taken both robots. DJ confronts Mr. Martin, who denies the charge. Nothing is certain in this rollicking adventure story. Is this a case of a Runaway Robot or will the robots be returned? Can DJ save the day?